Details about the lives of Joseph and Anna are just emerging as we learn more of the family that moved to Kankakee, Illinois. Joseph and Anna (a widow) were married in 1871 in Brockville ON by Rev. J. White of Smiths Falls. 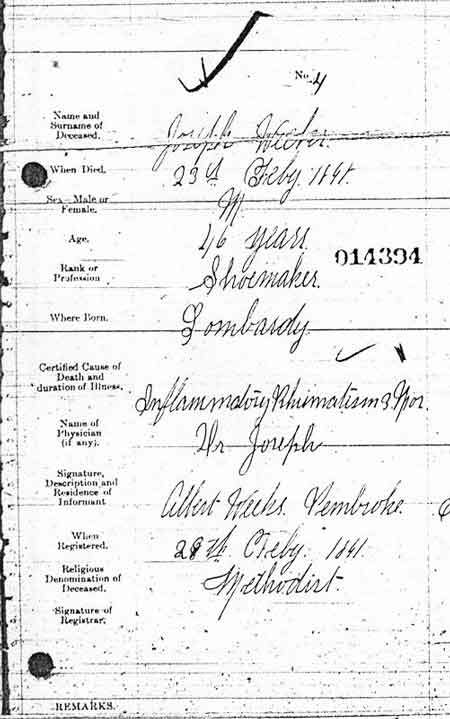 In 1877, they moved to Farmersville (now Athens, Ontario) to start a shoemaking business. (Kennedy). 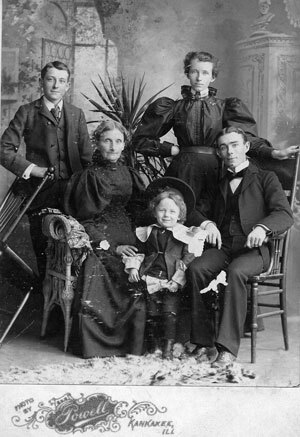 This is the same family that is found on the 1881 Elmsley Township census (the first source for the names of the children). 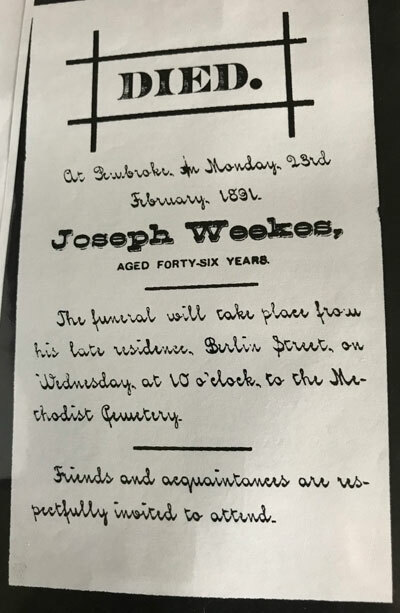 In 1891, Joseph died and was buried at Pembroke Ontario. We don't know the nature of their activities in Pembroke. Some time between 1892 and 1895, Anna, Albert and William moved to Kankakee (why is unknown, and whether they all moved at once is unknown), where they settled for life. Anna kept house for a farmer near Chebanse for a few years, and then for Hiram Richardson for 19 years. Albert died of typhoid in 1897 but William had a family that carries on to this day. Each male head of household is listed as Farmer; all family members are Church of England. Anna's sister Charlotte married an Andrews, was widowed, and also moved to Kankakee. On the Government of Manitoba website, vital records, is a death record for Edward James Green, died Dec 12, 1925, age 74 at RM Morton (Regional Municipality of Morton), Reg#1925, 052336. Vol 13 Pg 273 (Lanark Co.) Joseph WEEKS, 27, shoemaker, South Elmsley, South Elmsley, s/o Edward and Mary Jane, married Ann Eliza MOORHOUSE, 27, widow, Lansdowne, South Elmsley, d/o James C. and Jane GREEN, witn: Henry FRAYNE and Jane A. WEEKS, both of South Elmsley, 12 July 1871 at Smiths Falls. (Toronto); mfm group MS932, reel 4, unit 80-5-0-13, vol. 12, page 345. Thanks to research in Illinois by Christine Meinert Spencer and Thelma Lunsford, we know the following about Weeks burials in Kankakee. Weeks, Lucy May Wright 1881 - 1930 Mound Grove - wife of William J.